This weekend, the internationally renowned Georgia Boy Choir will kick off the holiday season with the very popular Christmas with the Georgia Boy Choir production on December 16 and 17 in the beautiful sanctuary of Peachtree Road United Methodist Church where they are currently serving as the Ensemble-In-Residence. 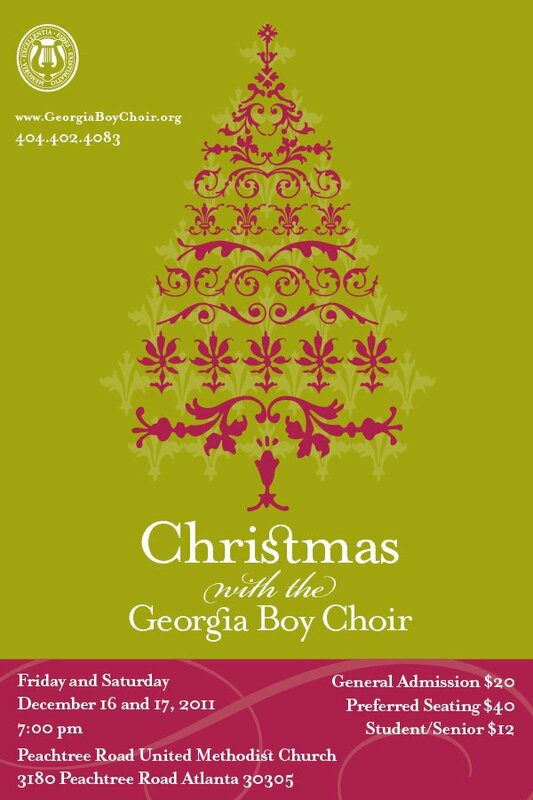 This fantastic concert will feature not only the seasoned Concert Choir, but all five choirs of the Georgia Boy Choir including the Apprentice Choir comprised of boys ages 4 through 7, along with a full orchestra performing all of your favorite carols and songs to kick off the holiday season. Quickly becoming a city tradition, the evening includes a fun Christmas party for kids courtesy of Elegant Event Sitters, Atlanta’s largest performance of the “Twelve Days of Christmas” with the audience invited to join in the fun and singing, and lots of homemade Christmas treats. 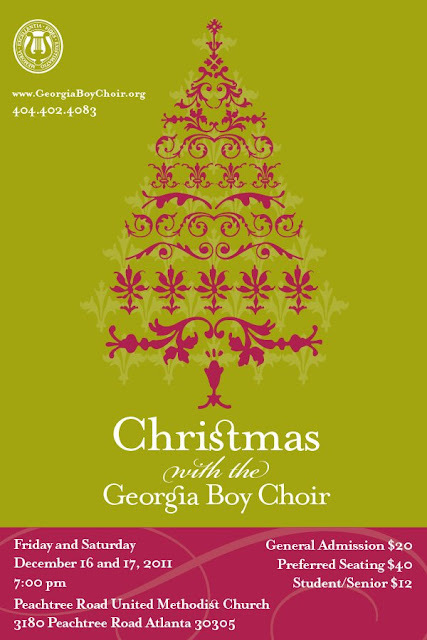 Tickets for Christmas with the Georgia Boy Choir are $12, $20, and $40 and can be purchased by visiting http://georgiaboychoir.ticketleap.com. Halfway through their third year, the Georgia Boy Choir is achieving an unprecedented level of success and recognition. This past summer they traveled to Great Britain where they served as the Choir-In-Residence at Oxford Cathedral. They will cap off this season with an appearance at the Baltimore Boychoir Festival in May and a Scandinavian tour that will take them to Finland, Sweden, Norway, Denmark, Latvia, and Estonia. The Georgia Boy Choir comprised of 80+ boys from all over the metro Atlanta area, carries on a centuries old tradition of boys singing and developing the unchanged voice. The Choir aims to reach the highest level of musical excellence possible while developing leadership skills, teaching self-discipline and instilling character traits. David R. White, well known throughout the arts community in Atlanta, is the Conductor and Artistic Director of the Georgia Boy Choir. He developed a reputation for musical excellence as the Conductor and Artistic Director of the Atlanta Boy Choir. 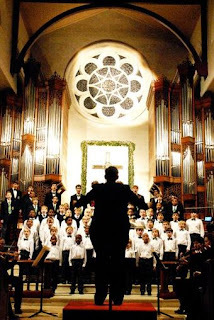 Prior to coming to Atlanta, he had spent over 10 years at the helm other well-known boy choirs, including the Boy Choir of the Carolinas and Florida’s Singing Sons and during his career has led choral performances in concert halls and cathedrals throughout the United States, as well as Greece, Italy, Czech Republic, Austria, Russia, and the Ukraine. White's mission is not only to make the Georgia Boy Choir among the finest in the world, but also to use music as a vehicle to teach as many boys as possible the important qualities of character, excellence, tradition, and leadership.